First impressions are important. If you want to make a great first impression on prospective clients, it's crucial to have a great lawyer bio. Whether it's the bio on your website, your LinkedIn page, or some other online destination, you should keep it up-to-date, reader-friendly, and appropriately detailed. 1. Don't Bore the Reader: These days this is more important than ever. Your average person has the attention span of a three year old and is looking for the next shiny object to catch their attention (especially online). No one wants to read your work history unless they are looking to hire. Don't turn your bio into your resume. 2. Your Name Should Be Obvious: Your name should be extremely obvious. The firms name should be obvious. Equally important is your place in the firm and your contact information. Include the firm's phone number, the email address, the physical address. Amazingly, many small firms have neglected to include this information on their sites. 3. Your Headshot: Unlike your resume, you will want to include a professional photograph of yourself in your online bio. It should go without saying that selfies are not yet acceptable. As well as being low resolution, focal lengths of mobile devices tend to be fixed too wide -- giving you a warped appearance. Get a professional portrait done. Unfortunately, appearances matter in this business. Fortunately, how attractive you are matters less. Your professionalism has to be obvious and it should weigh more heavily than how attractive you look. Your clients are supposed to be looking for a lawyer, not a date. 4. 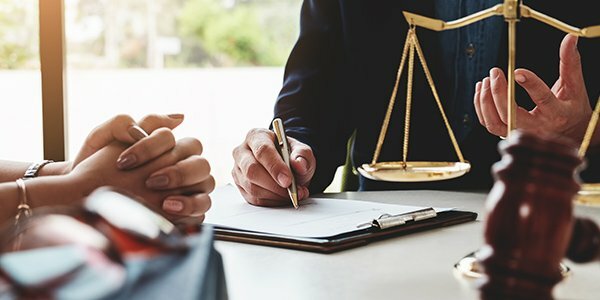 Explain It All in Simple Terms: A common practice for litigators is to explain to jurors what will be proven, how it will be proven, and what the result must be. Another tip is keeping it all very simple without legal jargon. Your bio should be equally succinct in explaining how you will help clients. 5. Accomplishments and Civic Engagements: You should list the highlights of your accomplishments and also include civic engagements like pro-bono. Almost every attorney has one of these lists and going without it almost a faux pas. 6. Prove That You're a Human Being: In law school you lost your humanity, and the burden is on you to prove that you have a soul. Include interests that you have outside of the law. Interests can vary widely as society is becoming more accepting of niche interests instead of the usual "dogs, running and beaches." 7. Your Direct Contact Info: Almost every lawyer includes an email address that is his direct address. This is a feature that appears to have started with lawyers (among the professional services) and has finally made its way to other service sectors. Don't forget this one. Keep in mind that first impressions of your website will permanently influence potential clients' future assessment of your service or ability to serve. Your online bio should be clear and easy to navigate. If it isn't, people will leave your site. With regards to bios, your online bio should be no more than a few paragraphs -- if that. You can play around with the idea of a more comprehensive biography for clients who are actually sitting in your office if you strive for a sense of completeness. Language and tone should always be tailored specifically to your target audience and should match your practice. Family law practices generally tend to be more personable than firms that practice business contracts.